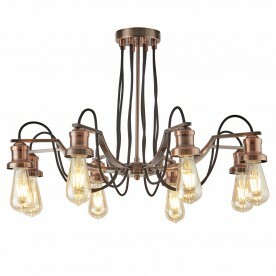 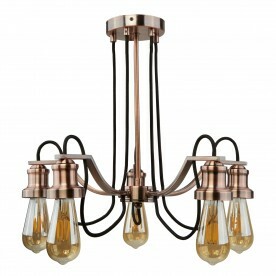 This striking light feature has a stunning vintage inspired antique copper finish. Alongside the antique copper fitting, there are black braided fabric cables which add a rustic feel to this centrepiece item. 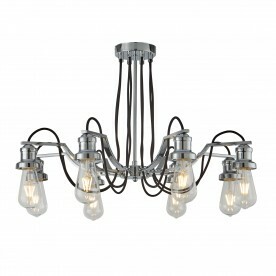 The exposed bulbs create a wide spread of light and look stylish. 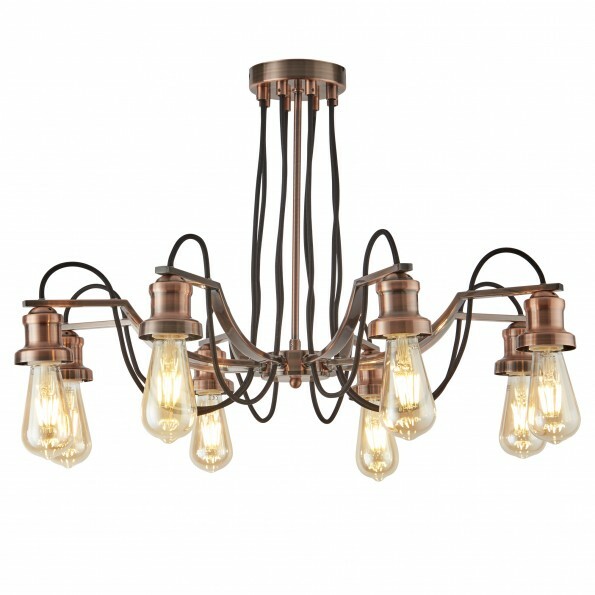 Let the light take centre stage by placing on a high ceiling in a large room.